“When I joined Aston, many people told me the company would not survive by not being part of a mega group, that it would be impossible to be profitable without being a division of an OEM (original equipment manufacturer),” Palmer told an Automotive News conference in Detroit. “Without platform and tech provided by a mother ship a company like Aston Martin would never be competitive. Within a large company, Palmer said, each respective luxury brand is forced to prioritise sales volume and profits for the wider company, even when it risks undermining the luxury brand itself. Mercedes-Benz and BMW, he said, don't have that problem. "There's a real disadvantage of being a premium brand inside a mass company," Palmer said. "Basically, Cadillac inside of GM, Lincoln inside of Ford or Infiniti inside of Nissan — none of them will make it." READ MORE Is this the most Aussie Cadillac ever? 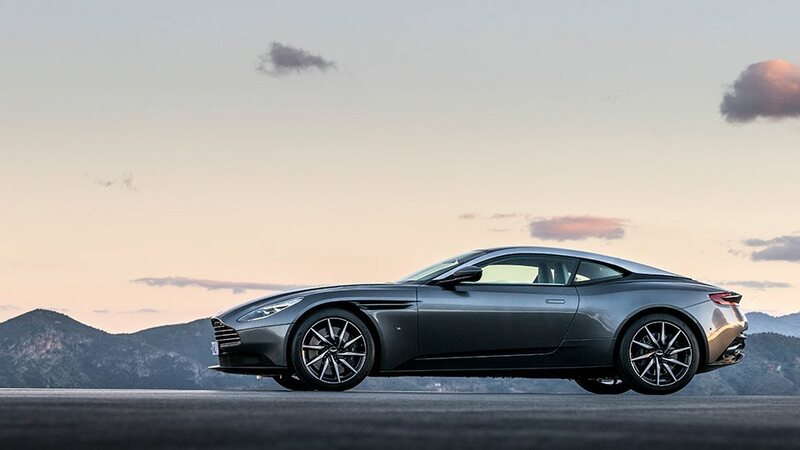 Founded in 1913, Aston Martin was formerly owned by the Premier Automotive Group, a division of Ford that also housed companies like Volvo, Jaguar and Range Rover/Land Rover, before going it alone again in 2010. Palmer ranks Aston Martin as one of the world’s top six luxury brands, alongside Ferrari, Lamborghini, Bentley, McLaren, and Rolls-Royce. “As an independent pure luxury automaker, we are determined to avoid a ‘race to the bottom’” he said. Palmer also confirmed that Aston Martin has contingency plans to deal with the potential fallout of the troubled Brexit campaign, where the UK would no longer enjoy favourable trade status with key European countries. The company has secured its supply chain, he said, and has put measures in place to bypass the key port of Dover – expected to become a bottleneck if the Brexit deal takes effect in March as planned –and has even looked at flying parts in to ensure production isn't affected. To celebrate the Henley Royal Regatta and Classic Driver, Q by Aston Martin has created two collector versions of its DB11 sports car.